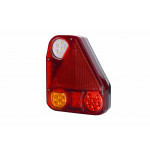 LED rear position lamp red W97.2 (712). Electric wire 2-cores 2x0,75mm2 flat. Price for 1m. Electric wire 7-cores YLY 6x1+1,5mm2. Price for 1m. 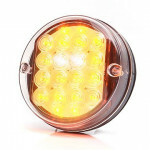 LED side position lamp yellow W97.2 (711). 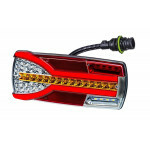 Multifunctional LED rear lamp 7 functions Carmen RIGHT with dynamic indicator and neon rear position light. 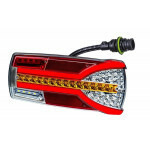 Multifunctional LED rear lamp 7 functions Carmen LEFT with dynamic indicator and neon rear position light. 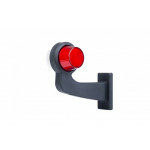 LED working lamp 6 diodes HOR73 with lighter plug and magnet mount. 8m spiral cable. 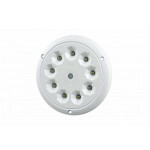 LED interior light LWD2160, round with switch. Aluminium housing. 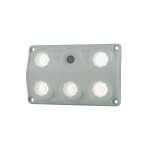 LED interior light LWD2153, rectangular with motion sensor. 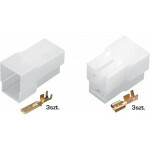 LED interior light LWD2153, rectangular with switch. 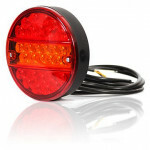 LED front-rear end-outline lamp, short arm, white and red lampshades, 0.5 m cable, NEON version. 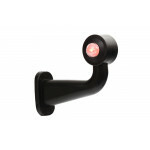 LED front-rear end-outline RIGHT lamp, long extension arm, white and red lampshades, 0.5 m cable, NEON version. LED front-rear end-outline LEFT lamp, long extension arm, white and red lampshades, 0.5 m cable, NEON version. 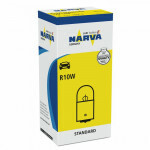 Light bulb R10W 12V 10W BA15s NARVA 17311. 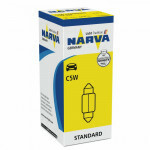 Light bulb tube 12V 5W 35mm C5W SV8,5 NARVA 17125. Cable connector E+J 3-wire. Plug + socket. 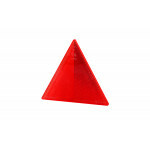 Triangular reflector red for 2 screws (UOT025) for trailers. 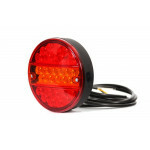 Universal LED rear lamp 12-36V, 6-functional, right without numberplate light, 1 m cable. 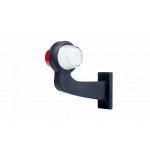 Multifunctional LED front position direction lamp 12V round W43. 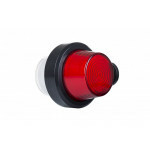 Rear marker lamp red with holder FRISTOM. 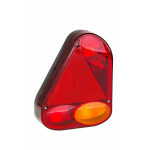 Combination rear lamp with fog light and triangular reflector. Designed for horse trailers, platform trailers, etc. LEFT. 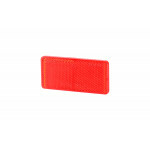 Reflective device, rectangular, with fastening tape (44x94) - red. 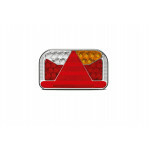 Multifunctional LED rear lamp triangle LEFT HOR56 with fog light. 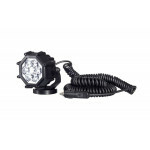 LED work lamp 4100lm (focused light) 9LED 12V-24V W136. 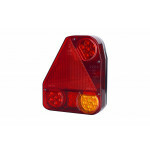 Multifunctional LED rear lamp triangle RIGHT HOR56 with reversing light. LED front-rear end-outline lamp RIGHT W21.5. LED front-rear end-outline lamp RIGHT W21.3RF. 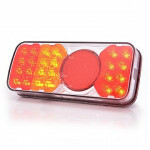 Multifunctional LED rear lamp 3 functions W19D. Indicator load up to 21W. 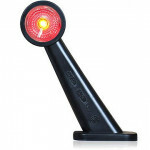 Multifunctional LED lamp 3 functions W19D. Indicator load up to 21W. 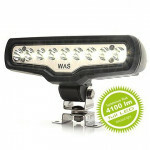 LED multifunctional rear lamp 5 functions LEFT W66L (313KR). 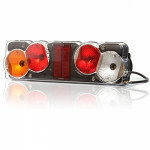 Multifunctional rear lamp 7 functions 24V LEFT (255) for trailers. LED numberplate lighting. 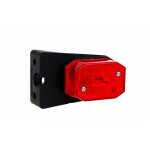 Multifunctional rear lamp 7 functions 12V LEFT (254) for trailers. LED numberplate lighting. Our support hotline is available 8:00 - 17:00. Our shop offers services of trusted carriers. You will get your products in a few days by DPD courier or Standard mail. For our Customers' convinience, we accept orders placed by phone (only Polish) as well as e-mail placed orders. Any questions? Contact us now! Placed orders can be paid by bank transfer. We also accept credit cards and PayPal payments. © 2013-2019 AutoLEDs. All rights reserved.